Every day, more than 75,000 men and women go to work at America’s electric cooperatives to keep the lights on for 42 million energy consumers in 47 states. It’s challenging work that offers more than a paycheck. Co-op employees go home each night knowing they’ve helped make their communities better places to live. 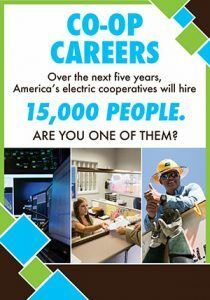 Over the next five years, thousands will experience that sense of purpose and pride as America’s electric cooperatives hire nearly 15,000 employees nationwide. These new hires will replace Baby Boomers reaching retirement age and accommodate growth of the energy industry. But despite competitive wages, excellent benefits, job stability, and rewarding work, electric cooperatives and other energy companies often have difficulty attracting new employees. One reason is a lack of awareness among potential new hires. In response, America’s electric co-ops have joined forces with other energy companies to celebrate Careers in Energy Week. The event, October 17 through 21 and coinciding with October Co-op Month, is an opportunity to promote cooperative career opportunities and correct misconceptions about energy industry jobs. A lineworker high up on a pole is the first image most people visualize when thinking about electric cooperative employees. Lineworkers do comprise the largest segment of the co-op workforce—approximately 25 percent—but a smooth-running cooperative requires a variety of talents. Information technology and engineering are two rapidly growing co-op career opportunities. The shift to a smarter electric grid and the need to carefully monitor and manage growing but intermittent renewable energy resources drive a need for more high-tech workers. Additional career paths in demand at electric cooperatives include finance, member services, equipment operators, energy advisors, communications and marketing, purchasing, administrative support, and human resources. For people who enjoy the rural quality of life and want to explore other parts of the country, an electric cooperative career might be the perfect option. 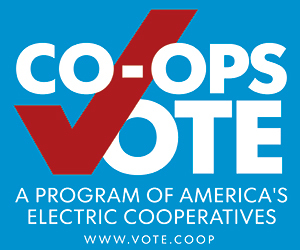 More than 900 U.S. electric cooperatives serve 75 percent of the nation’s land mass. reflects the character of the community it serves. No matter what living situation and work environment prospective employees may seek, they’re sure to find it somewhere in the electric cooperative system. Impressive national statistics won’t mean much to a job seeker if the local co-op is fully staffed and anticipates no openings in the near future. But many jobs—especially for lineworkers, equipment operators and the like—are available through regional and national contractors. These contractors are typically hired to supplement local utility crews to help build large projects or repair widespread storm damage. They move from project to project over time, offering employees a chance to see different parts of the country. 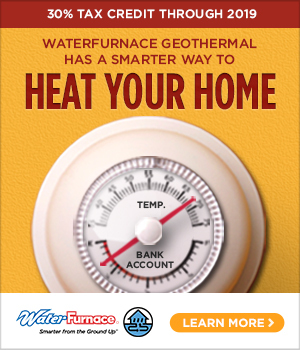 This can be a great option for individuals who’d like to join their hometown co-op when a position becomes available but want to start working in the energy industry immediately. A rapidly evolving energy industry offers many rewarding careers to recent high school or college graduates, and it’s also a great place to start a second or third career. Lineworker training programs offered through community colleges are growing in popularity among people who previously worked in oil and gas, manufacturing, mining, forestry, and other industries. Electric cooperatives are also eager to hire military veterans and their spouses. Last year, America’s electric cooperatives launched a program called “Serve Our Co-ops; Serve Our Country” to honor and hire veterans and their spouses. More information about the program is available at www.ServeVets.coop. As not-for-profit, member-owned, locally based businesses, America’s electric cooperatives offer careers that allow employees to provide vital services to the communities they call home. Guided by a set of principles that put people first, cooperatives offer fulfilling work to those who enjoy serving others. —Justin LaBerge writes on consumer and cooperative affairs for the National Rural Electric Cooperative Association.